Yes, we may see flying cars someday, but there are lots of developments we’re seeing now. The streets of San Francisco are inundated with cars that are covered with racks and sensors indicating that the Bay Area has taken center stage in the transformation of transportation and the development of the future automobile. Whether it’s autonomous, connected, electric or shared, you’ll find Bay Area companies at the forefront. As an automotive industry journalist, Charlie Vogelheim, host of “The Flying Car Show,” is kept busy by a plethora of local automotive related enterprises, presentations and seminars. Every major automobile manufacturer and many of their suppliers have labs in Silicon Valley. Companies that are at the forefront of future transportation (e.g. Waymo, Uber, Apple and Tesla) are based here. Our local academic institutions are leading research and development with specific classes and programs at Stanford and Cal along with studies at several nearby universities and colleges. Add to that the innumerable startups, innovators and foreign interests and the task of staying informed can be daunting. In addition, there’s also wonderful and diverse automobile enthusiast opportunities that abound nearby. Whether it’s beautiful roads, car collections, events, or tracks we have an embarrassment of riches in and around the Bay Area. There’s a lot of information to be disseminated, but Charlie has you covered! Tune into the Flying Car every Saturday from 9-10 a.m. to hear him bring you the latest on all things automobile. Charlie has over 30 years of automotive industry experience including roles as VP at J.D. 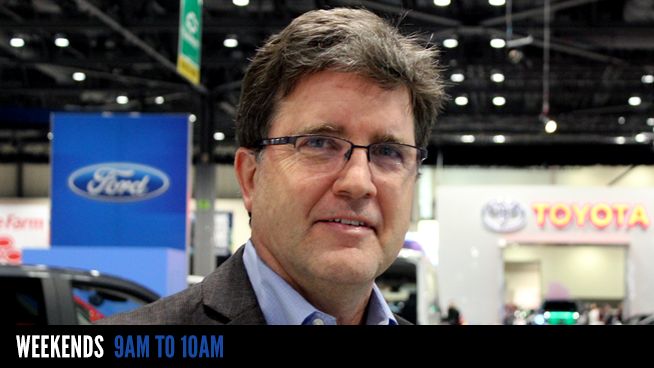 Power and as executive editor at both Kelley Blue Book and Motor Trend Auto Group. He is the principal of Vogelheim Ventures through which he is involved in a variety of initiatives including Motor Trend Audio, TPC Management, DrivingSales, RyanTech and Webcars China. In order to study trends, maintain contact with industry executives and further product familiarity, he travels extensively, attending most national motor shows and automotive industry conferences. Charlie is often a featured speaker at automotive seminars, educational meetings and media interviews. He has been a regular radio correspondent and an automotive industry commentator for televised business news. He was an original contributor to the development and implementation of several other automotive web sites. Additionally, he chaired the Internet Standards Committee regarding the development of all major automotive Internet sites. A Gonzaga University graduate and former commercial and Alaskan bush pilot, Charlie is continually fascinated by ongoing changes and technological developments. Connect with Charlie on Facebook and Twitter for live updates!